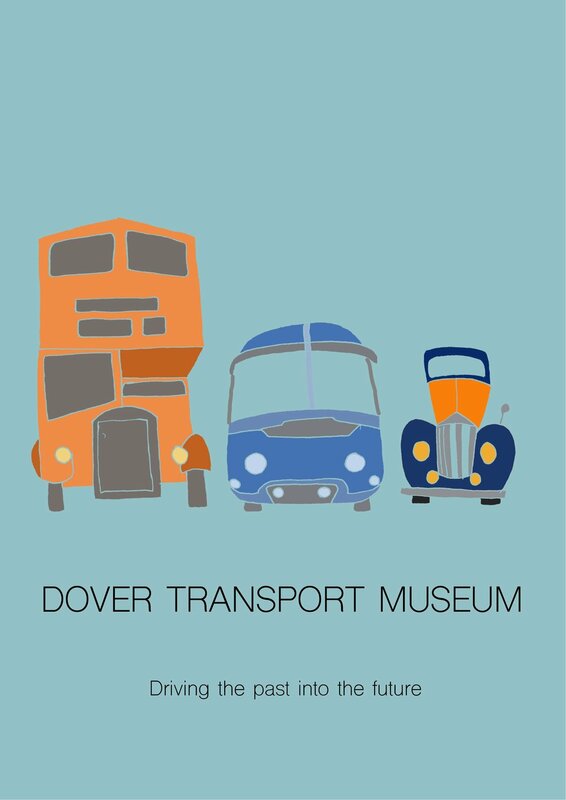 I chose to design posters for a museum local to me, Dover Transport Museum, so I started with a visit to become familiar with the exhibits and take photos for visual reference. 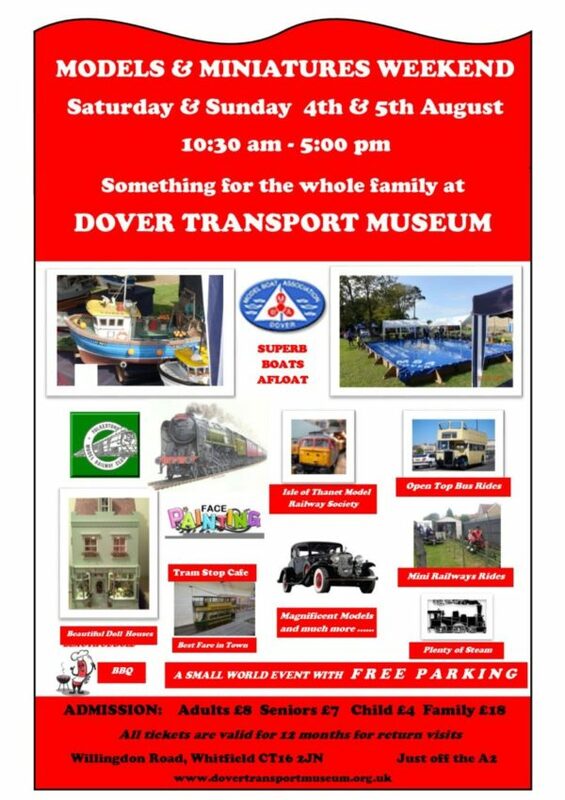 It is a fairly small museum but is packed full of interesting transport types from the past from bicycles to fire engines. In addition to this there is a working model railway and vintage shopfronts displaying items from bygone days. With so many exhibits, I took copious amounts of photos to catalogue the artefacts according to audience type and have included just a few for each on this blog. Having taken my own child, niece and nephew and my class on a school trip to this museum, I have a good idea which exhibits children of this age group like best. They tend to love the model railway, toy cars, the buses, steam train and fire engines. This was a little more tricky, I haven’t really seen any teenagers whenever I’ve visited so It will be a challenge marketing to them! I think some would like the extensive collection of model sports cars and the vintage scooters and motorbikes. Some who are particularly interested in history, mechanics or engineering would enjoy all of it. Having asked a couple of teenagers, they both said they are interested in how transport has changed. I don’t actually think it is age dependent, instead relating to personal likes and dislikes, therefore I think the poster for teenagers will be focused on visual style rather than the type of exhibit. Similarly to teenagers, adults will be drawn to different exhibits dependent on personal taste. However there is much more of a nostalgia element for them, particularly older adults who may remember the types of transport and vintage items in the shops. 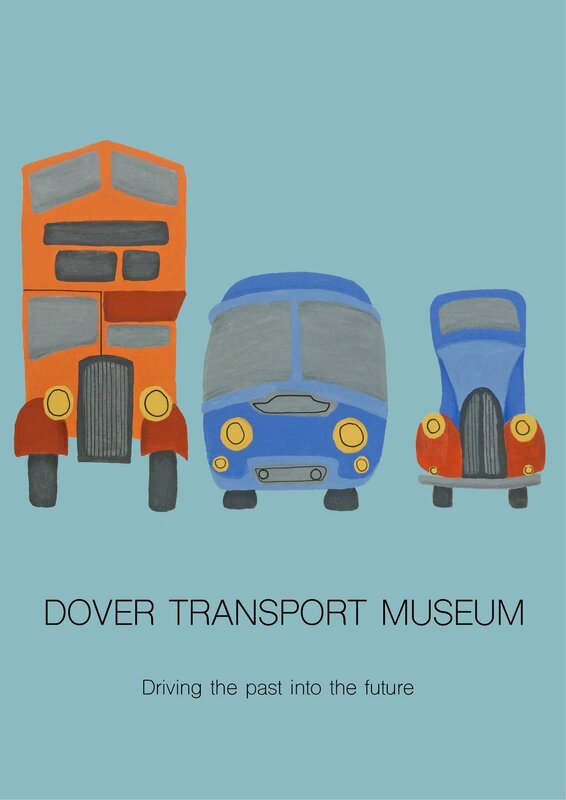 I then researched existing posters for Dover Transport Museum. I couldn’t find any for promotion in general, only for special events. The first and second posters both feature photographs and a lot of text. On the models and miniatures poster, there are example photos of the exhibits with labels next to them. This area is quite cluttered and the eye is a bit bamboozled. There are large sections of text at the top and bottom giving extensive information about date, time and admission. The text at the top is quite clear to read due to the contrast between the red and white, however it is more difficult to see the black. 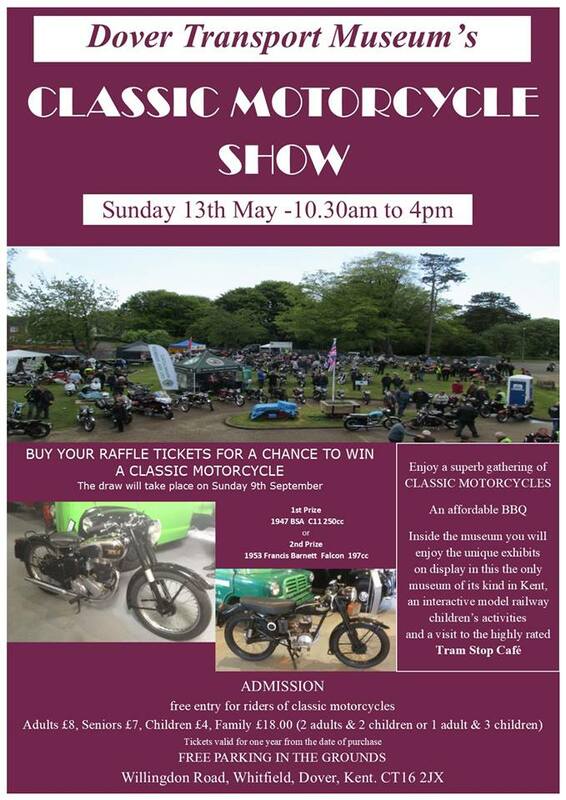 On the second poster, the use of an art deco font matches the theme of classic motorcycles well and the text is clear to read in white on the maroon. As with the first, there are extensive details in text and photos of what can be expected to be seen at the event. The Halloween poster features illustration rather than photos. 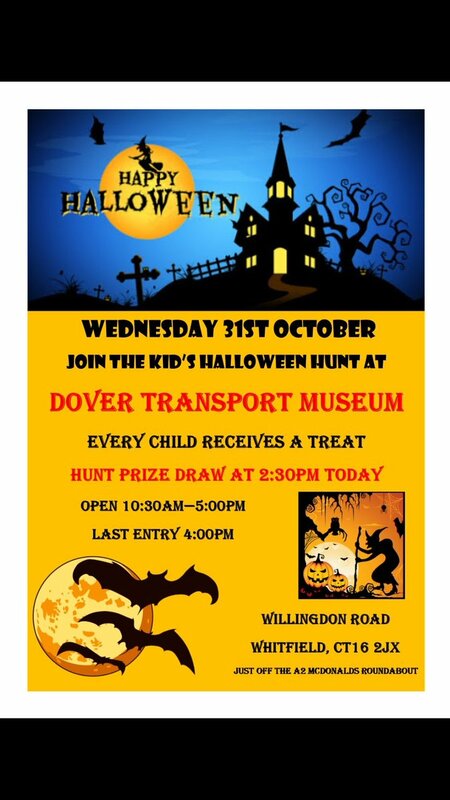 The illustration is focused on Halloween though rather than the museum. Most of the poster is covered in text giving details about the event, with a banner illustration at the top and two other smaller ones in the main body of text. The writing on the yellow background is clear to read with the brightness of the background itself being very eye catching. The ‘Drive it Day’ poster is quite different from the others featuring a large illustration and limited text. It is much more appealing and engaging. The illustration manages to visually communicate not only the special event but also the museum and its vintage exhibits as well. Textual details are kept to a minimum which I think is more suitable for a poster, especially when further information can be looked for on the internet in an instant. English art collector Joseph Thacher Clarke said in 1894, ‘Undoubtedly the commercial poster still exists in France, but the most astute advertising agent, looking at the matter from the commercial point of view, finds that the really artistic work pays better in cash results.’ (Timmers, 1998) . The artwork on this final poster makes it much more intriguing than any of the others and I imagine will be the biggest draw. I was first attracted to the first two posters because of the movement and vitality they portray. Both have the activity shown diagonally, transporting the viewer’s eye from one corner to the opposite one. 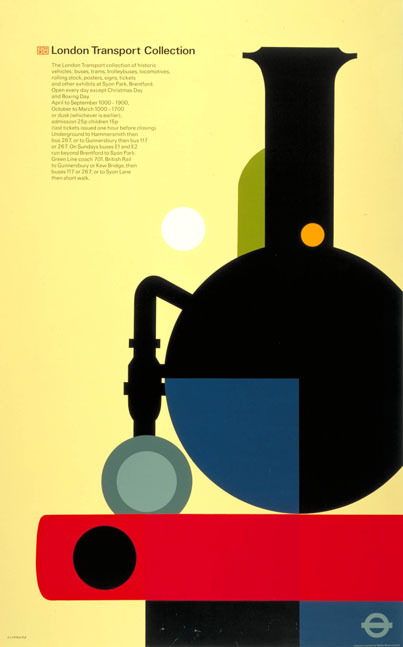 In Roy Meldrum’s poster, the eye follows the activity to the edge of the page, then turns round and comes back to the left to start again a bit higher. It is like you are actually on the escalator, horse or boat with the people in the poster. It has a different angle to the other two posters in that it portrays all the exciting things you can be doing if you travel by underground or tram, things you definitely don’t want to miss out on. The limited, but bold colour palette gives the poster vibrancy which perfectly compliments the content and message. 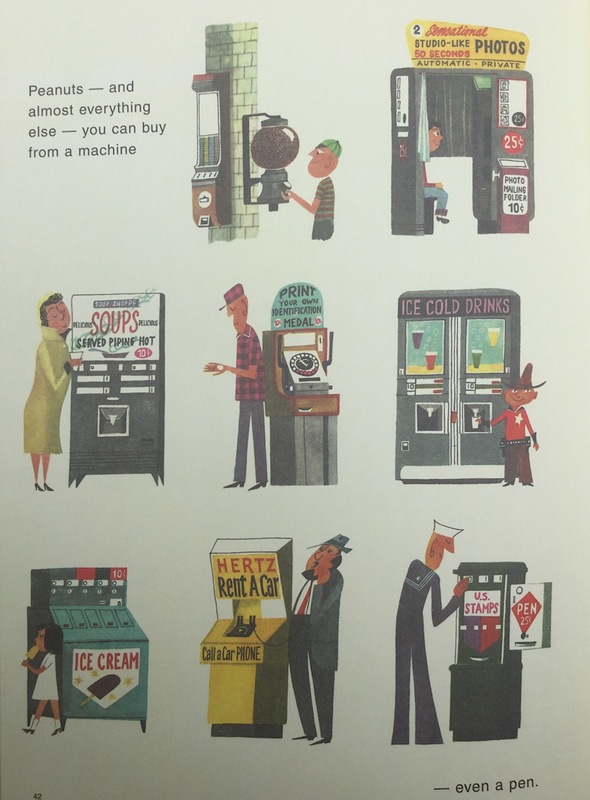 I think Alfred Leete’s poster is so successful because it makes you feel like you are missing out if you don’t do what it is suggesting you do and the sweeping visual narrative makes you want to follow the crowd. The more realistic colour palette used helps make this seems like a normal things to do. A must. Both of these first two posters have a very clever slogans that match the imagery perfectly. Both have the slogan running along the bottom of the artwork. Charles Frederick Herrick’s poster incorporates the text within the artwork a lot more. “It’s cooler below’ is placed underground, where it is cooler. An engaging rhyming couplet is positioned with the lines either side of the train imagery in an arc suggestive of the shape of the earth. This line is continued further up in the colours in the sky only to be broken by the sharp triangular edges of the burning sun that you must escape at once! A more contemporary illustrator commissioned by London transport is Virginie Morgand. Her posters for the Brightest London campaign are shown below. Photo: www.virginie-morgand.com. Like the vintage posters previously discussed, these all exude life and vitality with the frame filled with activity. They are mostly flat colour, bold and vibrant. The posters have a brand, a design theme that is the same in each with the text positioned at the bottom in a banner in the same font. 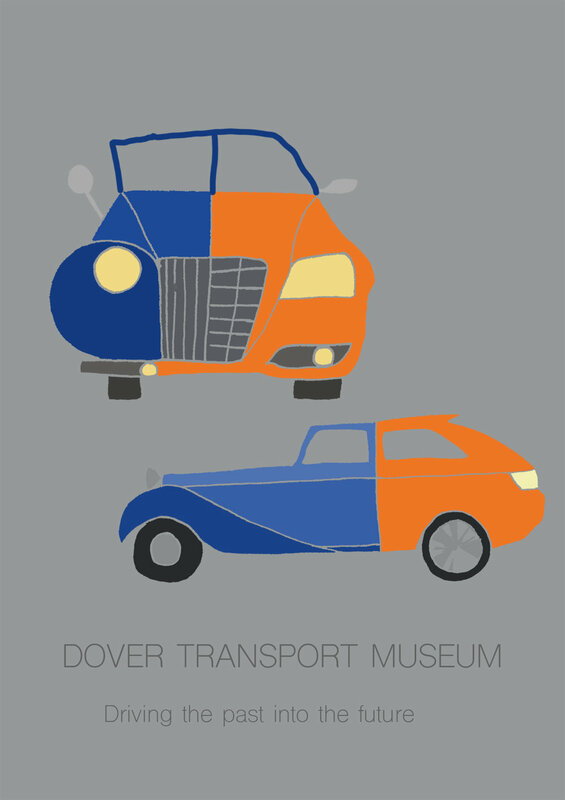 Inspired by Tom Eckersley’s work, I drew a range of vehicles from the museum from photos taken on my visit. I picked out the main lines needed to show the form of each without adding unnecessary detail. Before starting thumbnails for the different audiences,I made quick mind maps to jot down ideas, influences and inspirations for each one. 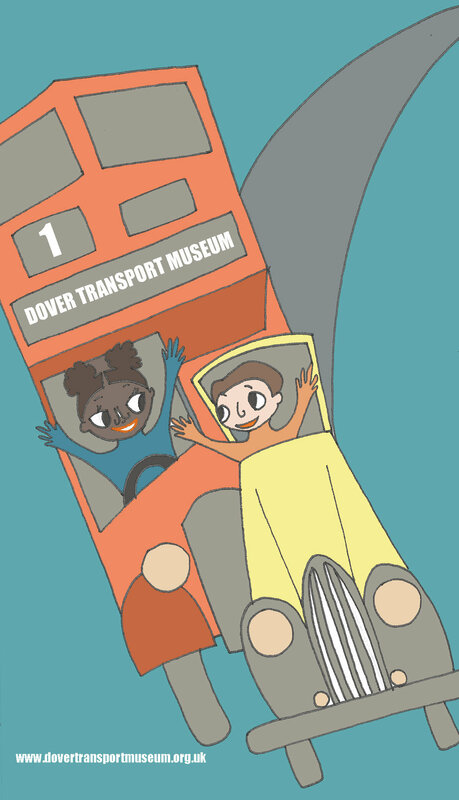 One of my ideas for the poster for children aged 5 - 9 was to make the poster look like a train track set up or road layout with different exhibits included as toys being played with. Initially I found creating a road layout difficult because I was unsure what I was trying to achieve in composition in terms of position and direction. Making smaller thumbnails to try out different road and track layouts without including the vehicles helped keep it simple and enabled me to decide on a layout which I thought could work well in a poster. I wanted the road and track to work together but struggled incorporating them until I came up with the loop which enables a seamless transition from one to another. Once I started adding vehicles and other elements however, it all got a bit cluttered. The text would not have stood out and there wouldn’t be much negative space to make the poster appear balanced. The brief asked for one exhibit to form the main part of the poster and this did not hero any of them. In addition to all of this, I was worried that it may not appeal to the upper part of the age range. After referring back to my mind map, I decided to take a more narrative approach. I liked the idea of children being ‘in the driving seat’ so decided to use this as a basis for the design. 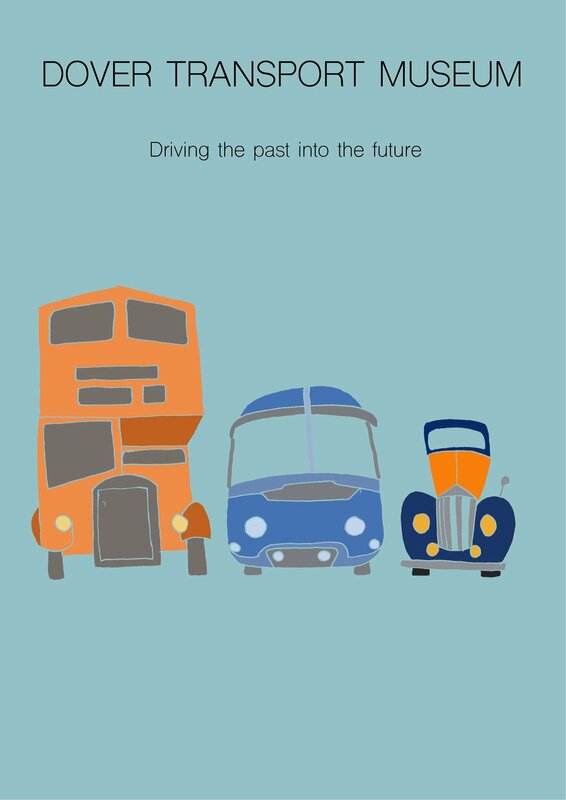 I chose an iconic looking vintage bus and car and put children driving them, no handed! After drawing a few thumbnails with the vehicles standing straight, I realised that I could make the image more fun if they looked like they were swerving or skidding, as if the children were racing them. I chose to use photoshop to create my colour visual so that I could explore different colour options. I started off very bright and bold to make it fun and eye catching for children but the colours just clashed. I then chose less vibrant tones but then the sense of fun was lost. In the end I chose tones of the complementary colours orange and blue which I think is a much more appealing palette and the fun element is maintained. 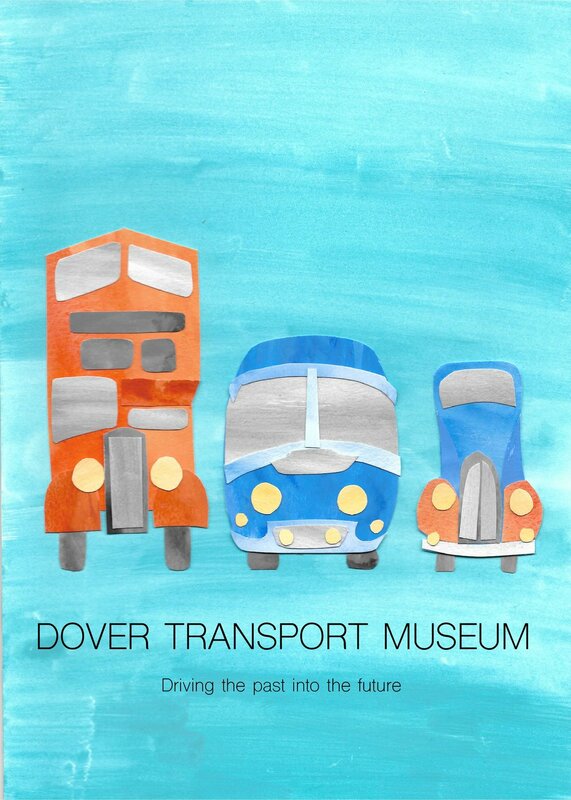 The bus in Dover Transport museum has Dover Transport Museum in its destination panel so I thought it could work well if I mirrored this in the poster. This didn’t seem enough text though so I tried adding the website address in different positions. There still didn’t seem enough so I looked at the leaflet for the museum on which they have the slogan ‘Driving the past into the future’. This seemed perfect for helping to get the ethos behind the museum across. I thought placing the text in an arc to act as the road marking would be fun and work well with the design aesthetic of the poster as a whole. Initially I used Indesign to add the text but I couldn’t work out how to create the arced text so I switched to Illustrator which was much easier. To appeal to teenagers, I wanted to create a contemporary graphic visual style. The drawings I had made at the start of this exercise had minimal lines to represent the vehicles so they worked well as a basis for a poster for this audience. After scanning each one, I coloured them in photoshop maintaining a similar colour palette to that used in the children’s poster, in order to keep a consistent look across all posters. I then started to make different thumbnail arrangements of the buildings to explore compositions. I originally wanted to arrange lots of the vehicles onto the poster with possible overlapping, hence the digital approach to the thumbnails. Solely line drawings would get confusing. Once I had coloured in photoshop, I switched to illustrator because it allowed me to move the objects off the artboard but still see them. I quickly decided against the idea of having lots of vehicles because I couldn’t seem to arrange them in a way that looked cohesive. I explored different amounts of vehicles before settling on three because it looked most balanced on the page. I then made thumbnails of different arrangements of three vehicles to work out which had the most pleasing visual aesthetic and which worked together effectively in which order. Below shows just some of the arrangements I tried alongside the text. I wanted a sans serif font for a contemporary look and after trying a few, settled for the one shown in the thumbnails. Although using just three vehicles creates the contemporary minimal look I intended for the teenager poster, I began to think it was more suitable for the adult audience, especially as the age specified is the lower ages, 13 - 16 years. Another idea on my initial teenage mind map was to show a vehicle split into two halves with one half from the past and the other from the present day. Teenagers I spoke to said the change in transport was one of the most interesting things about the museum. While researching posters, I had come across some for the Natural History museum showing different exhibits morphing into each other. This is the effect I wanted to create. For the idea to work I needed to ensure the two halves worked together cohesively but look clearly different from each other. Initially I kept them the same colour but then realised the colour needed to be different to create the contrast with similarity in shape creating cohesion. I kept the colours the same as in the poster for the children but with brighter tones for the cars. As before, I used illustrator to arrange the cars and text to find the best layout. When working on my original idea for the teenage audience I had included text in my thumbnails as part of the composition to fully explore the most effective position. I decided that the text worked best at the bottom because I think it looks more contemporary than elsewhere. I had also discovered that the name of the museum works better running the full length of the poster rather than on two lines. 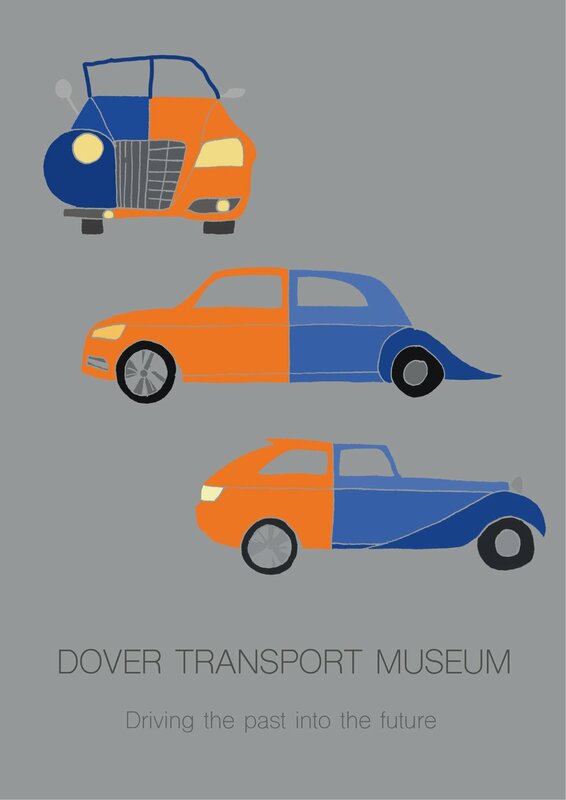 The design I chose for the visual below seemed to be the most balanced with the two side views of the cars facing alternate ways. For the adult group I began to explore an idea based on nostalgia. 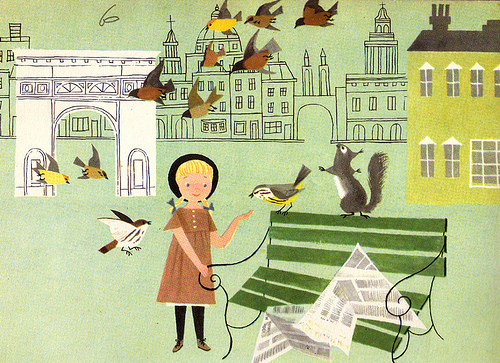 I wanted to bring in an element of the old railway posters but render it in a mid century style similar to the artwork of Miroslav Sasek. 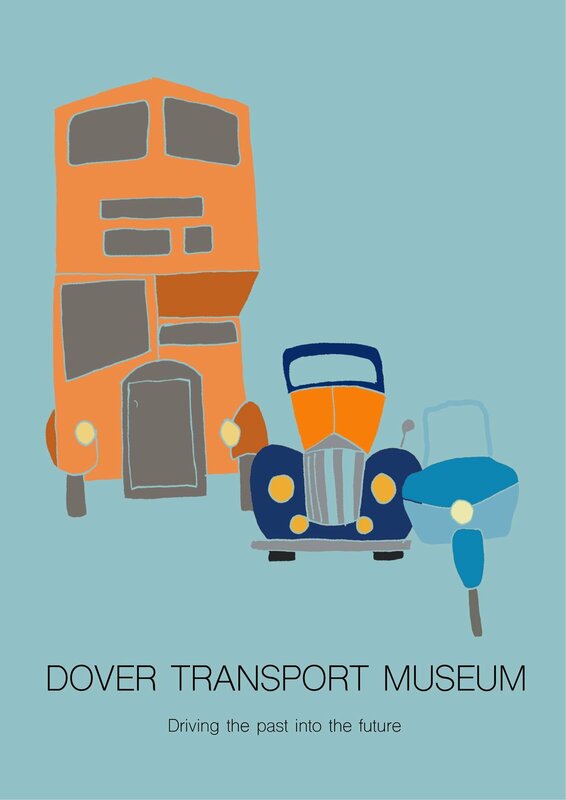 In addition to vehicles, Dover Transport Museum also has vintage shop fronts full of items from bygone days and I thought using one of these in an illustration alongside a vintage vehicle would capture that nostalgia well. There was a great exhibit of an old railway kiosk so I chose to use this alongside a steam train and made a quick observational drawing from a photo. Old train stations often have beautiful arches in them and it was another photo of this that gave me the idea for the arch that then creates a tunnel. The thumbnails show me exploring the positioning of the kiosk and train to ensure maximum impact was achieved. In order to make text and illustration as one, I also tried out different text positions. Placing the text at the bottom made the poster look more like the old railway posters but I finally chose to have the text added as if it were a sign painted onto a brick wall in white. Before I got to make a colour visual though, I abandoned this whole design idea because the aesthetic would be very different to the posters for the child and teenage audiences, and I felt it was important there was a continuity between them. Instead, I returned to my original idea for the teenage group that I had felt was more adult. Looking back at the thumbnails created for this poster and after much deliberation, I chose the design below as my colour visual. I like the simplicity of the design and think the positioning of the text being the same as in the teenage helps continuity across the posters. I then explored different ways to complete the artwork starting with pen. This didn’t work too well because I was limited in colours. I also think it would have worked better without the blue outline I included because I liked the outline effect on the visual that was created by making the line art transparent in photoshop. I created a cut paper version which I really enjoyed doing but chose not to use because I thought flat colour would make the poster more striking in a similar vein to Tom Eckersley’s work. I also wonder whether the cut paper collage looks a bit childish. If I were to create final artwork for the child’s poster, I would probably use this method. I laid my artwork on a flat colour background and made adjustments to shadows and highlights in photoshop then added the text in illustrator. I thought it important that a continuity in colour and style was maintained across all three posters in order to make it clear they are all advertising the same place. I think I have achieved that.